It’s the new snap, crackle, and pop for our digital world. That *click* of course being the starting point. Good product photography isn’t just expected from the big brands anymore. As more and more buyers turn to online shops, a good photo speaks volumes of your brand. …if they’ll be happy once the item is in their hands and matches their expectations! Photography is more than a “nice to have”. And it isn’t just for those shops who already have a lot of traffic + sales. Because better product photography will help you get BOTH. The good news is – you don’t need a fancy (and hella expensive) camera or product photographer to pull this off. I jumped like 5 feet all in before realizing while I loved playing around with it and taking (hundreds of) photos on vacation, I didn’t really have a passion beyond that and all the equipment was crazy expensive (I still have my eye on a third lens, but I think I’ll be waiting on that). Plus, I often found myself annoyed at carrying it around OR not having it when I came across a good photo opportunity. Plus, I KNOW good product photos make a big difference in online sales, so I wanted to be able to share all my tips with you guys too. If you need extra light, try ‘bouncing’ the light back onto your product using a reflector or even foam core boards like I did here. And I want you to be able to take gorgeous images like these with just your iPhone. I mean… who wouldn’t! Luckily, I found how to do all that and more with my iPhone. HALLLLELUJAH. Which is awesome because that thing is literally always on hand/my pocket/my purse. It’s the neediest thing next to my dog and while not as cute as him, we’re only separate for like ten minutes a day (which is a whole other issue). I know for many of you learning photography is a bit overwhelming (it was for me too). There’s a lot to balance and figure out – never mind this whole daylight savings nonsense and now your perfect time of day to squeeze in 15 minutes of photos in good light is gone. Which is why I was so excited when I found Chaitra at PinkPot Studio. She’s an absolute pro at photography, sells gorgeous stock photos, and uses just her iPhone a huge majority of the time! I took her course last year and found it so incredibly helpful to have a step by step path to walk through. Before I was just fumbling my way through YouTube videos and tutorials I found on Pinterest. Don’t get me wrong – you can learn a lot for free. But with photography I just found there were too many options and opinions and ‘oh try this’ for my liking. I wanted something clear + easy. Images that tell a story and are clear + descriptive all on their own SELL. When someone has reached your product page (after winding themselves through Facebook groups, and Instagram images, and email links) they are 50% of the way there to purchasing your product. So let’s make sure that product image closes the deal. Because you guys are my favorite, I share only the best with you. This is the whole shebang. It includes 6 core modules, demo videos, 30-page workbook, plus one-on-one access to Chaitra and other students in the course. It also comes with 4 LIVE group coaching calls and a private 24/7 community where you can ask her any questions and get personalized feedback on your photos. I took her course and found it so incredibly useful. One of my favorite lessons was “How to Style a Scene Cohesively in a Way That Connects and Tells a Story to Your Audience“. 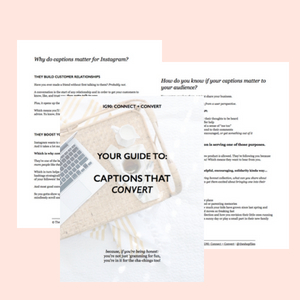 In six simple steps, she shows you how to cohesively style a photo and then goes into a demo where she show you her entire behind the scenes process. I was in the middle of thinking about my Instagram strategy when I first heard about the course. While I knew what kind of pictures I wanted to take, I felt that I needed some help with the how. This course is structured very well and the information is presented in a clear and easy-to-understand way. I loved the many demo videos that are part of the course. They are incredibly helpful. Now, I’m much more confident at taking and editing pictures. And more willing to show them off on my Instagram account 🙂 It’s one of the best online courses I’ve taken over the years. What would I say to someone who’s on the fence? Do it now. You won’t regret it. Chaitra is a wonderful teacher. Her course is loaded up with videos since photography is such a visual process and she walks you through each lesson step-by-step; so you can come away confident in your new skills. I can’t wait to see what photo magic you create! Yasss! Are you ready to discover your Instagram feed? Check your email to grab your free workbook and let's get started! Love this! Thanks for the tips. What camera would recommend for a beginner like me? I am planning to get a Sony A6300? Would that be okay? Thanks for sharing! ♥️ ♥️ By any chance you are interested on doing collaborations, you can check out the collaborations portal of Phlanx.com and connect with amazing brands! I think it depends what you want to ultimately use it for… product shots, lifestyle/on model, etc? I’ve actually heard pretty good things about that camera, and really as a beginner I think it comes down more so to understanding composition and how to capture what you want, versus having a more upgraded camera! Those updates can always come down the line!